"Pilgrimage, a journey lived with purpose." 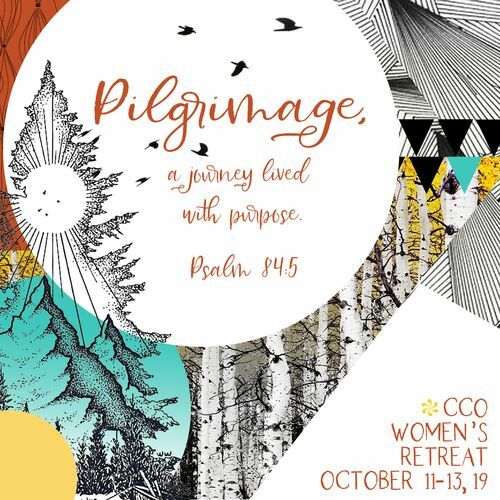 Ladies, we invite you to set a weekend aside and join us for our annual, CCO Women's Retreat, where we will dig deep into Psalm 84:5 which says, "Blessed is the man whose strength is in You, whose heart is set on PILGRIMAGE." We will learn through God's Word, and amazing teachers, what it means to live our unique journey, with purpose. The cost includes a 2 night stay, 5 delicious meals, breathtaking scenery, priceless memories, and much more. Don't wait to sign up, we hope to see you there! 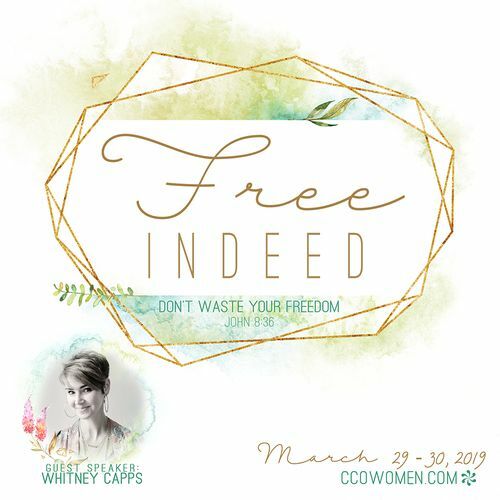 Ladies, join us for our Women's Spring Conference with special guest speaker from Proverbs 31 Ministries, Whitney Capps who is an ordinary girl in love with an extraordinary God. We will learn what it means to live FREE by letting God's love and truth be the loudest voice we hear.